In its 80 year history in Dulwich, Philip Soutar will be the sixth Head at Rosemead Preparatory this September. He is currently the Head at St Wystan’s in Derbyshire. When Mr. Soutar joins he will have already spent a year transitioning and getting to know the school and the school getting to know him. What can parents first expect? Mr. Soutar said ‘I am very much a people person so they will see an awful lot of me. I am also looking forward to overseeing the ongoing physical improvements of the school and contributing to the growth of drama and music’. Rosemead’s ethos is very important to the school, Mr Soutar noted ‘I see the ethos of the school continuing on, that is the heart and soul of the school. Rosemead’s wonderful ethos of ‘Inspiring Brilliant Futures’, is very similar to my current school and to my own values’. 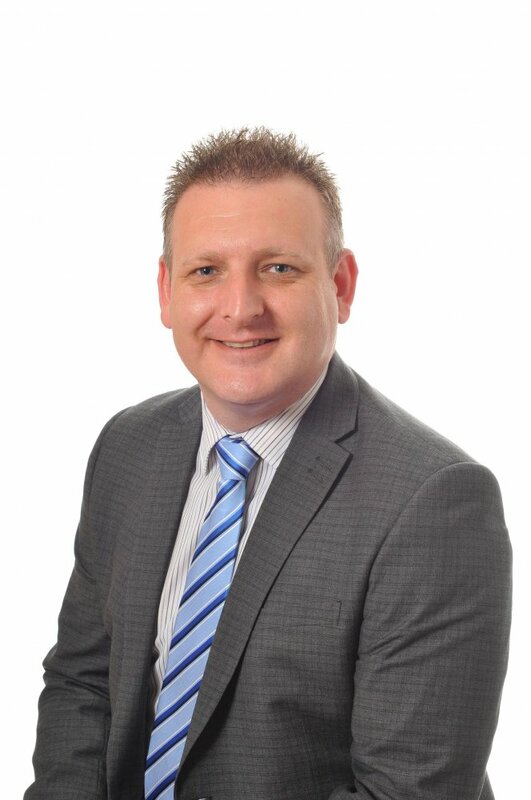 Mr. Soutar is looking forward to his new role in the school and said ‘It is an exciting challenge and together with the staff and parents of the school, I look forward to continuing building upon the great foundations laid by Arthur Bray (current Head) and his predecessors’. Art is for all at Rosemead Prep and the children across the school are taught skills which allow them to express themselves in various styles to emulate different, well-known artists, as well as developing their own original style. The children are lucky enough to have use of two art studios in the school to create their masterpieces. Holiday art workshops have also been introduced this year so that children can experience techniques and mediums not taught in the classrooms. The Art department has had its most successful year since the opening of The Cathie Brown Art Studio in 2012. The 10 very dedicated children in portfolio group worked extremely hard and gained 8 Art Scholarships to Senior Schools between them. At the ISA London South Art competition in June, Rosemead swept the board by gaining 12 prizes including 5 first places which will go on to the National competition in November 2018. 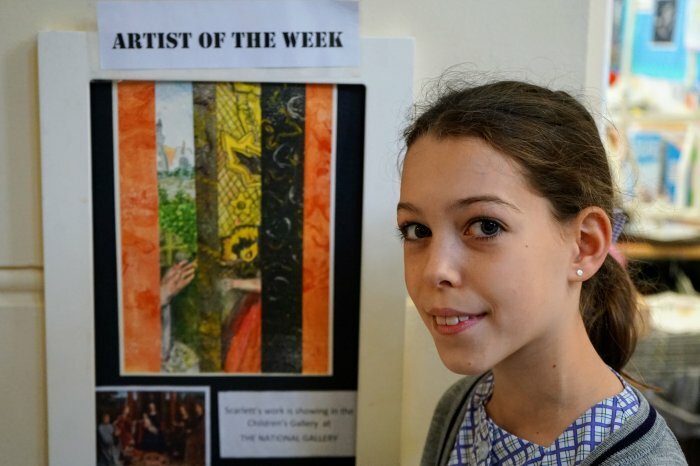 In celebration of the children’s inspiring work we have introduced ‘Artist of the Week’. A piece is chosen and displayed outside the Art Studio for all to enjoy and appreciate. Scarlett (pictured) attended a workshop at the National Gallery based on the painting “The Virgin and child with saints and donor” by Gerard David. She created her piece of work which was selected to be displayed in the Children’s Gallery at the National Gallery. We are all very proud of her wonderful achievement. 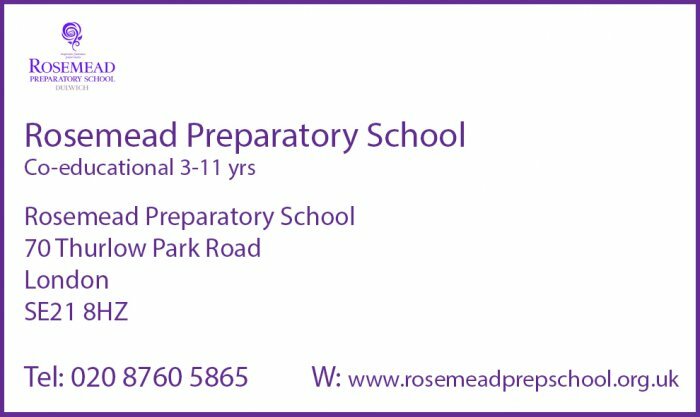 The delightful thing about Rosemead Prep School is that we can compete successfully at a range of different sports, with regional and national representation a feature of the pupils’ experience. Over the past year we have had swimmers represent the school at the ISA National Gala, giving them the opportunity to swim at the Olympic Pool. Our U11 boys’ football team has tasted consistent success locally before qualifying for the ISA National tournament in Leicester. 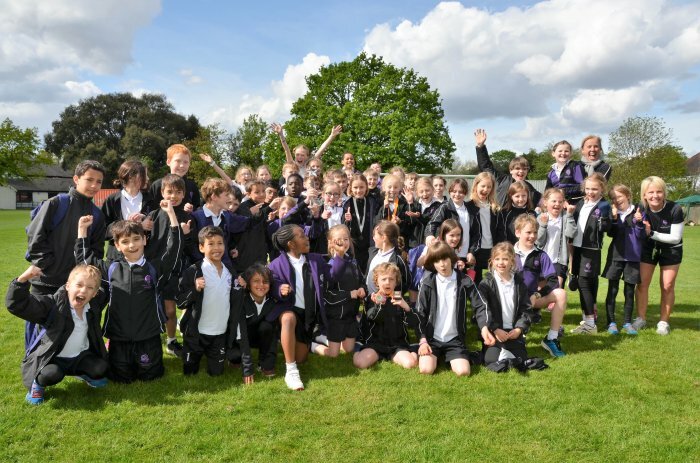 And our cross country teams continue to dominate, winning both the South London Schools and Dulwich Hamlet meetings with more outstanding individual and team performances. Just a flavour of what is on offer!